The rise of the “new monasticism” to popular awareness in recent years might lead the uninformed to imagine that Christian communalism is a recent phenomenon. The truth is Christians have lived in intimate community settings since the very beginning. 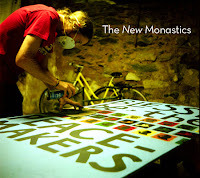 What’ is “new” about new monasticism is largely a matter of its historical and geographical contexts, the catchy label and the recent dialog with the Benedictine tradition. Christine Pohl considers this conversation to be among the most promising in the church today. This essay explores the resonance between these two expressions of Christian communalism and the contributions they might make to more traditional, institutional Christian congregations. 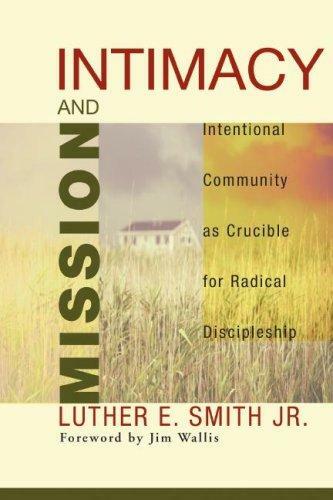 In 1994, Luther E. Smith Jr, published Intimacy and Mission: Intentional Community as Crucible for Radical Discipleship which analyzes five Christian intentional communities representative of a larger sample of 68. Each of those surveyed express an intentional commitment to meaningful fellowship (intimacy) and prophetic witness (mission) in the world and conform to “normative patterns of Christian conduct”. Smith understands his research as an investigation into “practical efforts to renew the local church” and translates his astute observations into relevance for the church today. One of Smith’s most helpful insights is his answer to the question of what motivates people to join intentional communities. According to Smith, “Religious communities symbolize hope,” specifically the promise of a “place to experience being totally committed to God”. These “radical disciples” are characterized by a single-minded intention to make “God the priority which shapes all other decisions” and are thus drawn to Christian communities out of a desire to test the promise of these fellowships as a discipleship-rich form of life. The “discipleship” these people seek is primarily conceived of as faithful imitation of Jesus, and a relationship with God characterized by obedience and bringing God glory. Even as the hope of experiencing Christian community as the premier environment for their discipleship is the critical pull factor, “dissatisfaction with the institutional church” is the chief push factor motivating new members to join. Smith identifies three commitments made by the communities he studied that contribute to their discipleship-promoting nature. Each has significance for congregations seeking to promote discipleship. The first is the use of community covenants promising enduring relational ties in which members know and love one another as companions for better and for worse. Second, Christian communities create a holy order in which submission is offered to the authority of the community and boundaries of membership are maintained. Third, commitments to personal and social transformation are enacted in synergistic relationship. The practical implications of these for local churches will be considered in the conclusion. These three commitments bear a striking resemblance to the threefold vow of Benedictine monasticism to conversion, obedience and stability. Inhabiting the Church, authored by three new monastic practioners, engages with these vows in hopes that their movement can meaningfully draw upon their wisdom. The vow of stability—by which “the monk promises to stay put in one place for life and to find God in that place and with those particular people”—echoes the enduring relational commitment for better and for worse that Smith observed in the communities he examined. According to Jon Stock, the primary aim of the vow of stability is “with the creation of a polis that is shaped by the character of God as revealed in Jesus and the Scriptures.” Discerning how to cultivate this kind of society is only possible after a commitment has been made to remain together. Within such a covenant fellowship, questions of authority and membership must be resolved, and it is here that the Benedictine vow of obedience bears relevance. For Benedict, obedience was primarily directed toward the abbot or abbess, but also under the rule of the community. Both Luther Smith and Tim Otto, who contributes the chapter on this vow in Inhabiting the Church, prefer locating personal authority in the community rather than an individual. This makes even more important the boundaries established around membership in the authoritative community. In Christian communities, membership in this inner core is restricted to those who have made an commitment to a rule of life entailing geographical proximity if not communal living, economic sharing—if not a common purse, action for justice—if not common mission, and frequent gatherings. The practices of this rule offer a skeleton for the way of life required by the vow of conversion. As Jonathan Wilson-Hartgrove notes, conversion “is not only about the inner condition of our souls; it also has to do with the external form of our life together in community. Conversion is a way of life that must be practiced.” Even as Smith’s communities share a dual commitment to personal and social transformation, the vow of conversion entails reformation of both the inner life and of ones way of being in the world, both of which are ultimately to mirror that of Jesus. …when external circumstances are relatively unchanging, we are more frequently confronted with those elements in our being that need reformation…Aspects of the self that could be successfully concealed in looser association assert themselves in a close community and cause pain—to others, certainly, but more especially to ourselves. Stability protects this process of purgation. Thus far, I have highlighted three commitments whose use in contemporary Christian communities and Benedictine monasticism have contributed largely to their track record as crucibles for Christian discipleship. And yet, these communities consistently deny that they are a superior expression of the church. Instead, according to Smith, they serve “a distinctive igniting role for the larger church. By force of their example they rekindle a passion for discipleship.” New monastic authors echo this sentiment, picturing their role in the larger Christian community as a prophetic one, witnessing to present reality of the in-breaking Kingdom. In the remaining paragraphs, I will explore how these three commitments—to stability, to seeking personal and social transformation, and to living under authority—might serve to challenge and provoke local congregation’s potential as an environment of discipleship. While these three commitments could manifest in myriad ways within a congregation’s life, I will focus specifically on its implications for membership standards—something that Luther Smith and, more recently, new monastic author Jonathan Wilson-Hartgrove have highlighted. Although these two have asserted the need for higher commitment membership, both have been dissatisfying vague. (My thoughts on Wilson-Hargrove's proposals are here.) I offer here a proposal that risks the perils of greater specificity, seeking to answer the question: What might it look like for membership in a congregation to require a vow akin to that of the Benedictine’s and those of Christian intentional communties? In both Benedictine and intentional communities, members are those who have committed to a common rule of life with significant implications in major arenas of life such as, where one lives, how one is related to material goods, who one is in caring relationship with, and how one spends time. In the local congregational setting, this a rule of life for discipleship might include: the expectation of a full tenth of all income being given away, a requirement that members live within the church’s zip code, commitment to praying the divine hours and studying Scripture daily, and weekly participation in a mission-centered small group that invests at least 10 hours monthly in a particular justice or mission activity and provides intimate caring relationships. Additionally, members could be required to make annual recommitments to stability—a promise to remain under the rule and in these relationships for another year. Members, then, as those who are actively living according to the community’s pattern for a life of discipleship, would be entrusted as the ruling body of the congregation. Ministers and staff would, therefore, enter the rule. Depending on the size of this fellowship, responsibility for decision-making regarding the worship, ministries and missions of the church may need to be delegated to committees, all of which would, of course, entail additional time commitments. This proposal for the requirements of membership is in stark contrast to the practice of many Christian churches which call for only a simple profession of faith in Jesus. Churches must admit that many of those seeking to radically orient their lives around an intention to follow Jesus are disappointed by the opportunities afforded to them in the life of typical congregations. Church leaders must not resign themselves to this reality, but embrace their God-given call to shape their congregation into a peculiar people. The proposed expression of threefold commitment to transformation, obedience and stability evident in Benedictine and more recent intentional communities offers churches an avenue toward a renewed identity as crucibles for discipleship. Casey, M. (2005). An Unexciting Life: Reflections on Benedictine Spirituality (1st ed.). Fordham University Press. Smith, L. E. (1994). Intimacy & Mission: Intentional Community As Crucible for Radical Discipleship. Herald Press (PA). Stock, J. R., Otto, T., & Wilson-Hartgrove, J. (2006). Inhabiting the Church: Biblical Wisdom for a New Monasticism. Wipf & Stock Publishers. Wilson-Hartgrove, J. (2008). 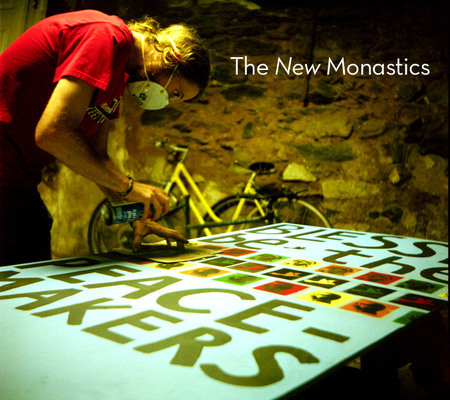 New Monasticism: What It Has to Say to Today’s Church. Brazos Press. Smith’s portraits and analysis focus on Koinonia Partners, Sojourners, Church of the Messiah, Voice of Calvary and Patchwork Central. Casey, 243-44. Quoted by Stock et al, 91. Wilson-Hartgrove’s 2008 book, New Monasticism: What it has to say to today’s church, echoes several of Smith’s proposals. Interestingly, Smith notes that while intentional communities do position themselves in contrast to anti-gospel ideologies such as consumerism and individualism, none require a specific doctrinal profession—beyond naming the authority of Scripture and Jesus’ as the model life—a prerequisite to membership.